Bayern Munich bosses Karl-Heinz Rummenigge and Uli Hoeness on Friday launched a fierce attack on the German media over “disrespectful and disgusting” reporting amid a rare four-match winless streak for the Bundesliga champions. “FC Bayern will no longer accept this manner (of reporting),” fumed Rummenigge, who even quoted a paragraph of the German constitution which says “human dignity shall be inviolable”. “Obviously you no longer think about dignity and decorum anymore,” he told reporters. Criticism of Bayern’s stars, particularly Bayern captain Manuel Neuer, who has struggled for form after twice fracturing his foot in 2017, has clearly irked the senior Bayern figures. Rummenigge revealed Bayern have even taken legal action against several German media outlets. Back-to-back league defeats against Hertha Berlin and Borussia Moenchengladbach have left Bayern sixth in the Bundesliga table — four points behind leaders Borussia Dortmund before Saturday’s match at Wolfsburg. Bayern have won the past six German league titles — often by a huge points margin — meaning criticism of the club is a rare occurrence. 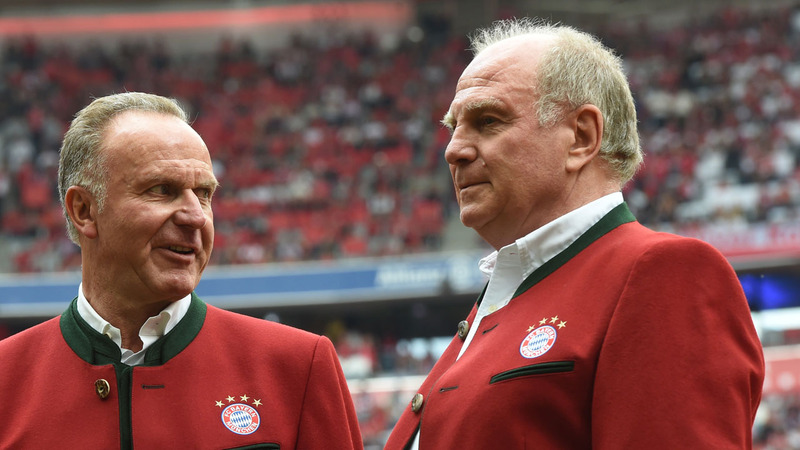 Rummenigge and Hoeness certainly appear to be struggling to cope with the recent broadsides aimed at Bayern. “We will not put up with this slanderous and degrading coverage,” said Rummenigge. Hoeness, Bayern’s president, continued by singling out individual journalists for fierce criticism, “we will not accept disrespectful, disgusting coverage”. Bayern’s sports director Hasan Salihamidzic, who also attended the hastily-arranged press conference, fired back at criticism that he has not supported head coach Niko Kovac enough publically. “That was respectless, it has never come into question that there is a problem with Niko,” fumed Salihamidzic.